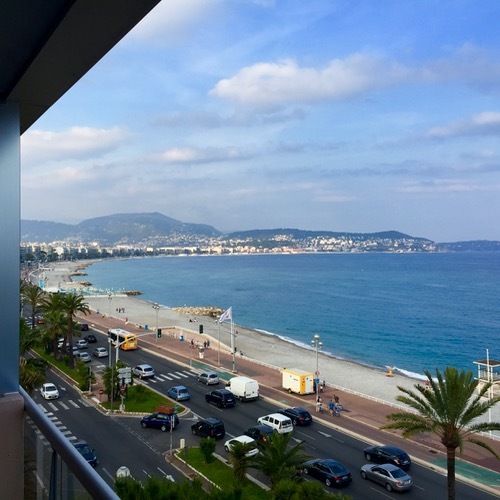 Marketman & Family were in Nice last year, stayed right on the Promenade, and a stone’s throw from our balcony in the photo up top was the corner from where the terrorist driven truck last night started its journey of carnage towards the center of town. 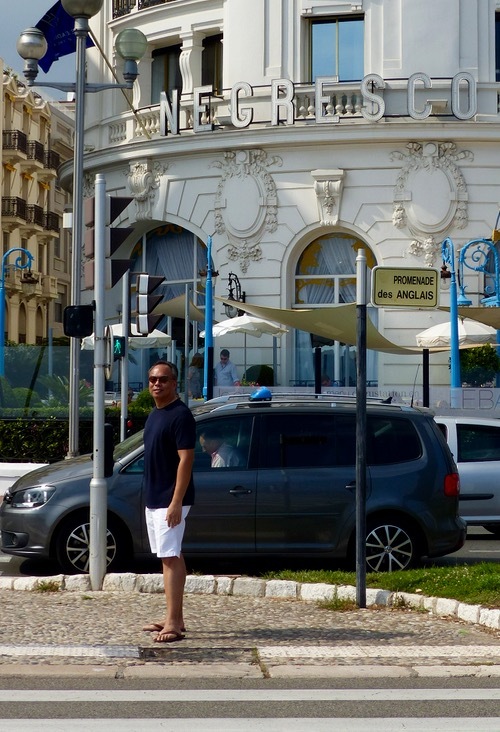 We had such wonderful memories of several strolls as a family down this promenade, and it just won’t seem the same to tens of thousands of residents and visitors to Nice ever again. Life can be so fleeting. I am not terribly religious, but I do hope there is a Hell. A very, very hot Hell. Long before terrorist attacks loomed large over everybody’s consciousness, I use to rush to NYC to join friends and family to celebrate Christmas and New Year. Stayed at mid-priced hotels around the Times Square area since they lie equidistant to points I was going to visit throughout the week. Shortly after noon on New Year’s eve, all the approaches to Times Square are closed to traffic and visitors lodged within the cordoned off area are allowed in only after showing proof of residency. This is how they secured the count-down to New Year spot long before 9/11. Of course, authorities can’t really totally screen off psychopaths bent on wreaking as much havoc as possible on gathered crowds. I vaguely recall an old movie scene where explosives directed at the spectators at a football stadium being launched from a closely hovering dirigible. Nice is nice and a fun place so I cannot fathom why anyone would want to harm innocent people who are just there to enjoy. Condolence to the families who lost their loved ones ( especially the children) in this carnage. Let us pray for world peace. Beyond comprehension, the work of twisted minds. Keep the faith and let us not live in fear. Sick, really sick. Now the violence in Turkey. More than a hundred casualties. What has the world come up to? So very sad. Prayers for the victims and their families. The cycle of hate is so pronounced para wala ng Diyos. How can these people do these to innocent people? This behooves me. And the violence towards women and children too. I feel pain when i read the papers. Waking up almost every morning and your notifications from news online alarms u of these horrific stories. Sana meron pause button si Lord. Looking lean and good MM!! !